This week I was left feeling inspired and in awe after attending a networking event with Kyles. Kyles Collection has been around for 25 years where they originally started off in a small bedroom on the Isle of Bute. Since then the brand has gone from strength to strength and now their stunning showroom sits prominently in the hub of the melting pot that is East London. They specialise in creating bespoke jewellery for the modern bride. I say ‘modern’ and not South Asian because Kyles are fully aware of their cultural identity. They embrace their traditional background and incorporate it with the ever evolving British culture to cater to their extremely diverse clientele. Kyles is a family run business and the four partners are so passionate about what they do that it transpires brilliantly. After meeting some of the other the creatives that had been invited, we were taken on a tour by the lovely Nisha Dadi to show us exactly how their jewellery is made. Each piece is designed by Nisha and hand crafted here in London, in their very own workshop,just a stones throw away from their showroom. I wish I could show you pictures from the tour but I wouldn’t want to give away all their secrets! Nisha showed us exactly how her designs come alive from initial sketches to creating the moulds, right to the very end where each individual swarovski crystal is glued on by hand. I felt like Charlie when he goes on the tour of the chocolate factory, it really was fascinating to see. One thing that really stuck with me was first just how nice Nisha was; well, to be honest they all were. There was such a nice welcoming feel to the event and I think this is partly what has contributed to their success. Even their small production team all seemed like a little family, which I’m not gonna lie I wanted to be a part of! 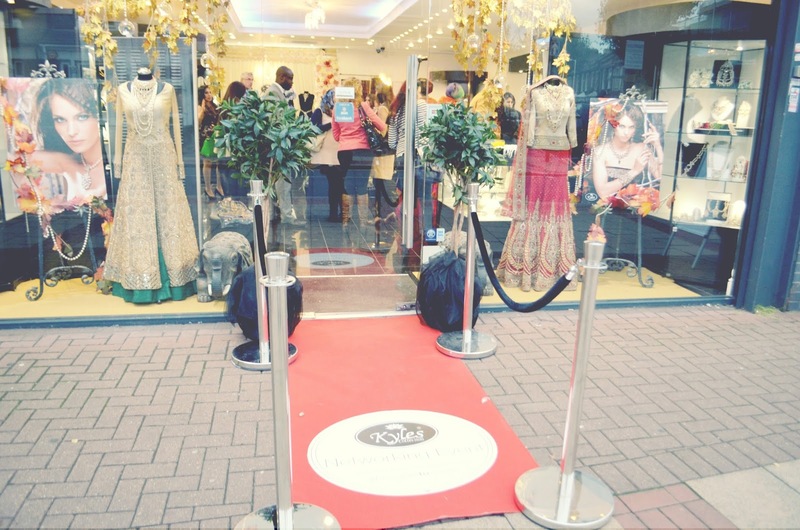 The evening ended with speeches from Asiana, Swarovski and Ambreen, who also did a live demo on how easy it is to put on a matha patthi head piece from Kyles Collection. This ended with a small intimate chat with Nisha and Mal explaining where they started from and their journey. The event was a huge success and even had DJ Neeve from Kiss 100 and the cast of Desi Rascals make an appearance. Kyles are consistantly appearing in mainstream media and what’s so amazing about them is that they’re so willing to engage with creatives. Be it photographers, makeup artists, bloggers, if you’re in the creative industry and good at what you do, they’re willing to build a relationship with you and to help you grow. 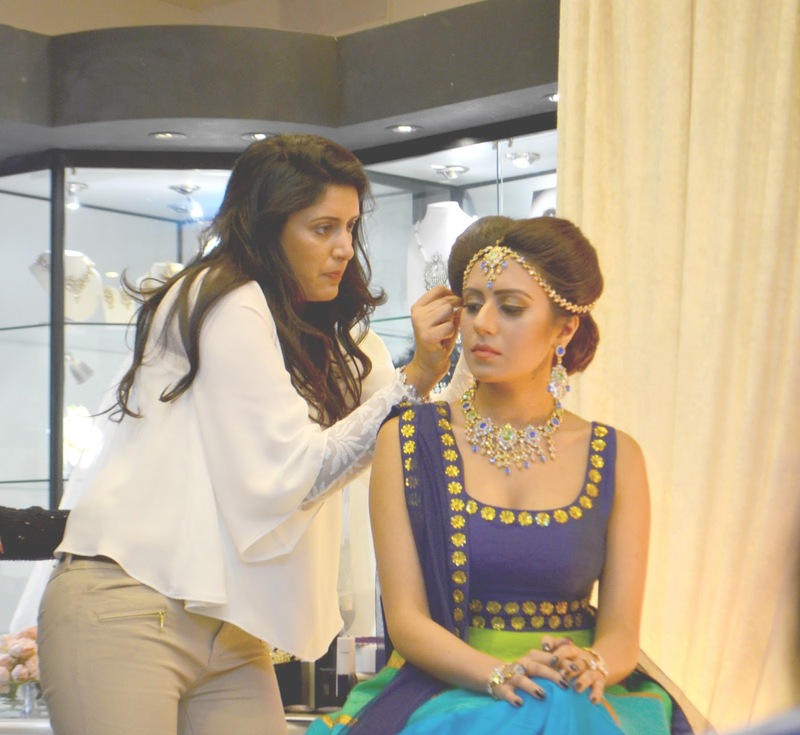 They’ve estimated that they’ve created bridal jewellery for 11,000 brides which is a whopping achievement, definitely not one to be taken lightly. It’s so amazing to see just how the globally established brand has evolved and to think I walk past their workshop and store every single day and I had no idea the amount of effort and dedicated craftsmanship that is taking place on my very doorstep. I for one, cannot wait to have a piece commissioned by them and I wholeheartedly recommend that you go and check out their store.